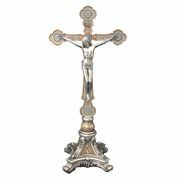 RW 6024K Angel Altar Cross Silvertone Cross with Oak base. 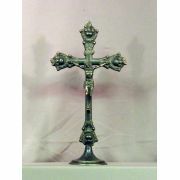 24" h, 12" w, 1/4" d., 4 lbs..
RW 1036 BRASS ALTAR CROSS, THREE STEP BASE. 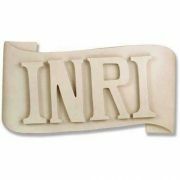 36" h, 17" w, 1" d, 22 lbs.Due to the price of this it.. This item is made-to-order and can take 4-8 weeks before shipping, not delivery. 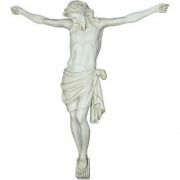 Depen..
Church/Altar Backlit Hanging Wall Cross - 48in., 60in., or 72in. 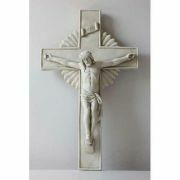 RW 2048L 48", 60", and 72" Options Backlit hanging cross. 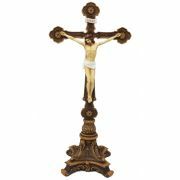 Two mounting brackets include making the..
NLD 132 Satin finished Brasstone Cross imbedded in rich solid walnut. 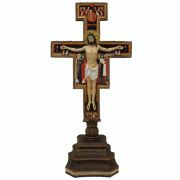 14" h. 1-1/2' lbs..
Veronese Standing Crucifix Fully Painted 13.75in. 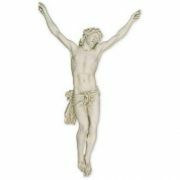 A Veronese standing crucifix, hand-painted in full color, 13.75 inches. 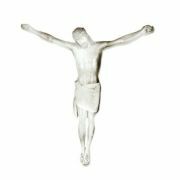 Also available in lightly ha..
RW 2120 Wall bracket for hanging crosses on sanctuary walls. 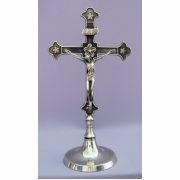 Sturdy, strong wall bracket allows m..
RW 1036SP SILVERPLATE ALTAR CROSS, THREE STEP BASE. 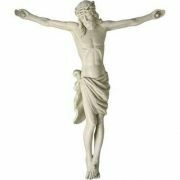 36" h, 17" w, 1" d, 22 lbs.Due to the price o.. 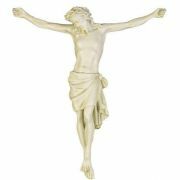 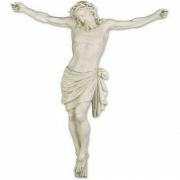 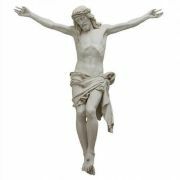 Standing Crucifix, Pewter Style Finish, Golden Highlights, 13in.